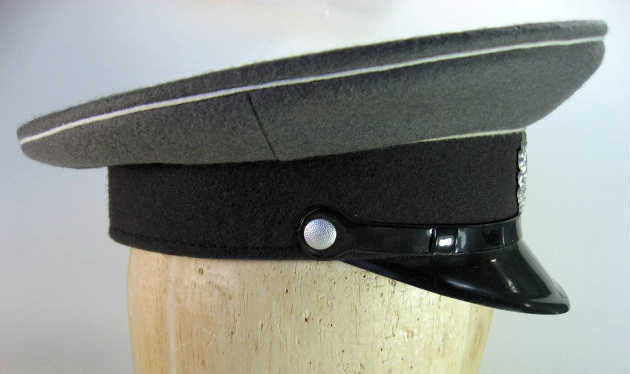 This is an original East German men's enlisted men's army hat from circa early 1980's and not a copy or reproduction. 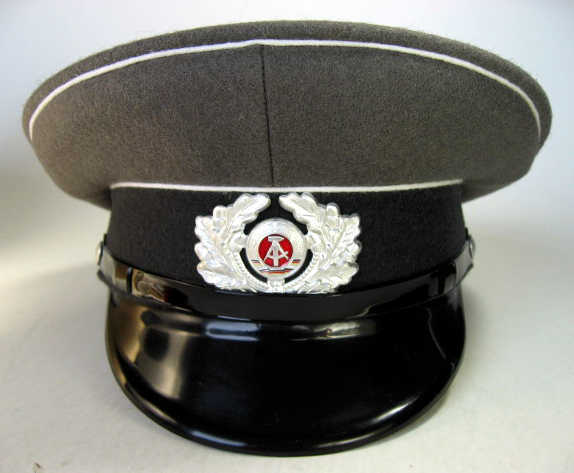 The is a new old stock, un-issued, not used, as new, German military surplus hat in excellent to near mint condition. 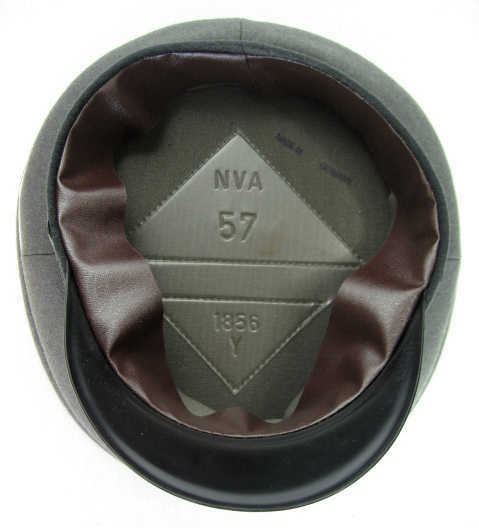 The size is German size 57 which is equivalent to U.S.A. size 7-1/8. 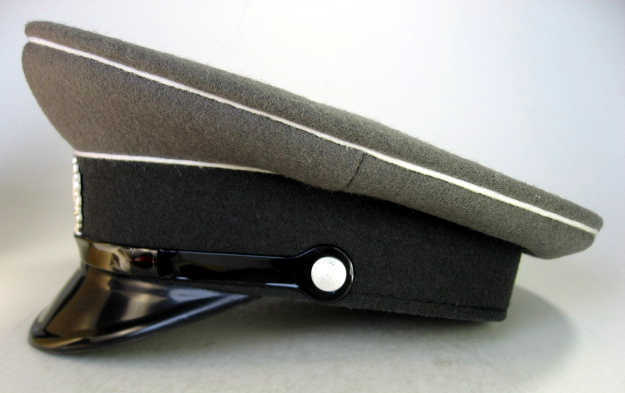 The badge and the black strap are easily removeable as they are attached by bent metal tabs. 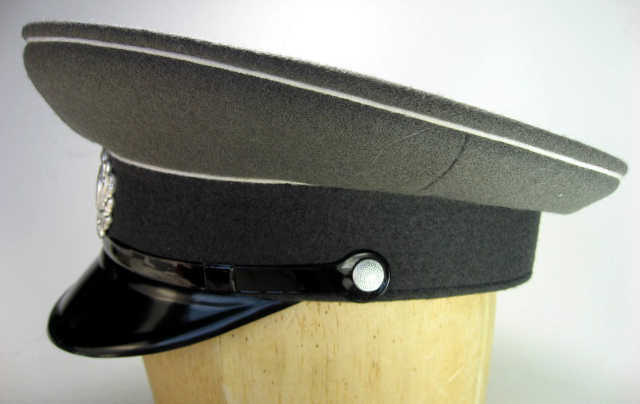 So the badge and strap can be easily replaced if you wish to modify the hat. 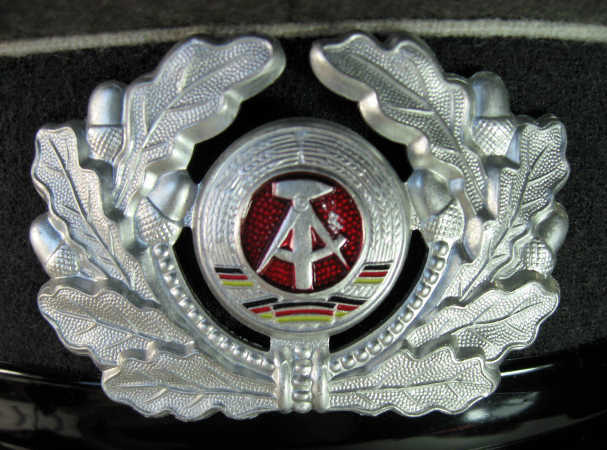 Note the reason the hat has "Made in Germany" stamped inside in English is because U.S.A import laws require that the country of origin must appear on imported items. 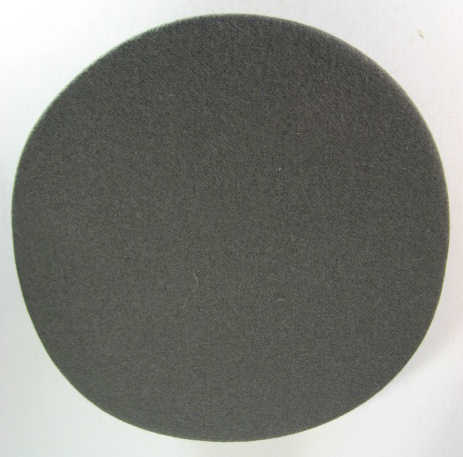 So a "Made in..." note is required for all imported items to the U.S.A.
We have several of these hats so the photos are showing a representative hat from the ones we have in stock. 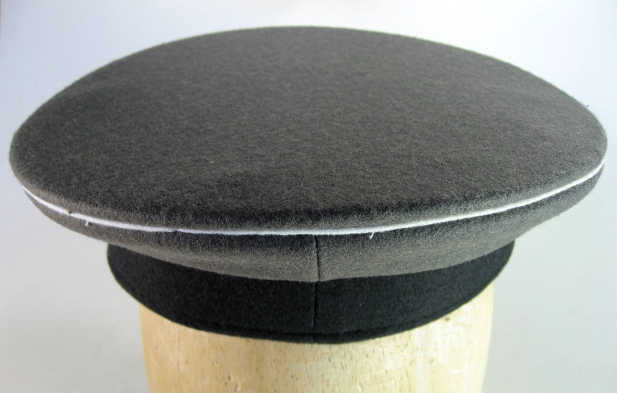 You will receive a hat in similar condition to hats in the photos below. $40.00 PLUS $9.00 USA SHIPPING. 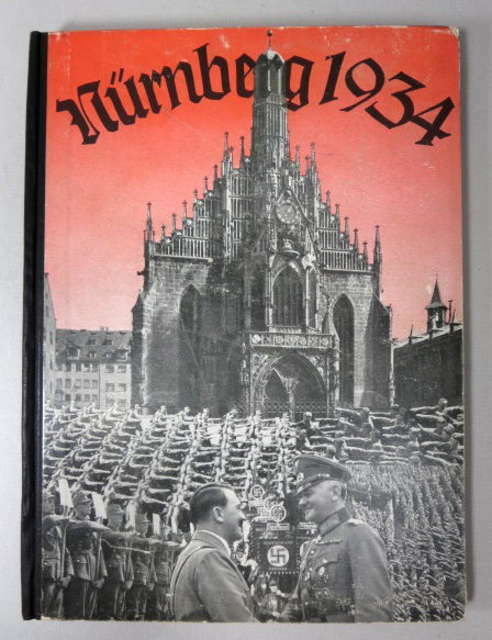 TOTAL PRICE IS $49.00 WHICH INCLUDES U.S.A. SHIPPING AND INSURANCE ONLY. INTERNATIONAL PRICE IS US$ 40.00 PLUS SHIPPING CHARGES. FOR INTERNATIONAL SHIPPING PLEASE SEND US AN EMAIL WITH YOUR SHIPPING ADDRESS. WE WILL SEND YOU A PAYPAL INVOICE FOR THE TOTAL AMOUNT INCLUDING SHIPPING TO YOUR COUNTRY. OR YOU CAN JUST BUY THE ITEM AND PAY THE U.S. PRICE WITH THE U.S. SHIPPING CHARGES. WE WILL THEN SEND YOU A PAYPAL INVOICE FOR THE EXTRA SHIPPING CHARGES TO SHIP TO YOUR COUNTRY. YOU MAY WANT TO ENQUIRE FIRST ON THE SHIPPING CHARGES TO YOUR COUNTRY AS THEY CAN BE EXPENSIVE. USE THE CONTACT US FORM ON THE LEFT SIDE OF THIS PAGE.